faith and power to overcome. 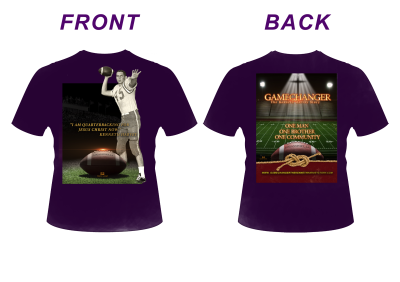 YOU CAN BE A GAMECHANGER TOO !!! A story about One Man, One Brother and One Community! On November 13, 1964, the small town of Logansport, Louisiana, was changed; never to be the same. Our local hero and football quarterback, Kenneth Harvey, was injured making a seemingly routine tackle, but forever paralyzed from the brain stem contusion injury he received. He would never walk again. 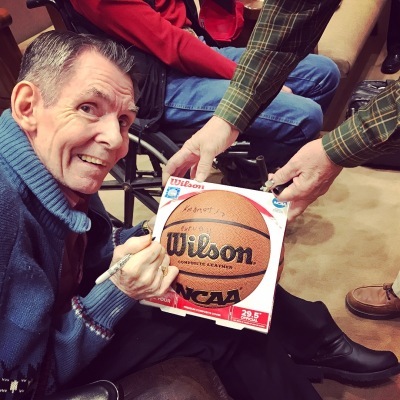 A phenomenal athlete, and a better person, who excelled at basketball, as well as football, would never see the field or court again, except from his wheelchair. But this story did not end with that injury, and it was not just about Kenneth, but all of us. In 2009, a group of friends, classmates, and coaches honored Kenneth Harvey. Not just about Kenneth, but his family, his coaches, his classmates, and, yes, his community. This film will tell the story of a man who grew up in a small home in Bethel, the son of a couple who endured enough pain and heartbreak that most of us cannot fathom. It is the hope of the alumni of Logansport High School that you will find in your heart to contribute to see this dream come to fruition. A Kenneth Harvey Special Needs Trust fund has been set up for supplemental benefits needed for Kenneth. 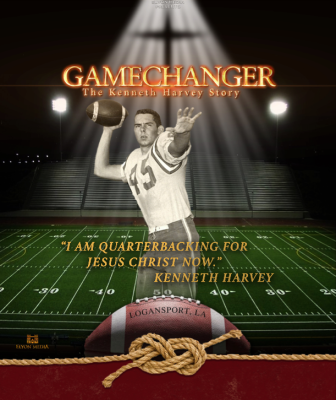 In addition, through the leadership of Ben Freeman and the support of an Advisory Planning Team, made up of friends and classmates, GAMECHANGER; The Kenneth Harvey Story, L.L.C. has been established to receive contributions for the making of the documentary. This is a story that needs to be told, and it needs to be told in Kenneth’s lifetime. Director, Troy LeBlanc, from San Antonio, has been working for more than a year on background material and interviews. The film is in the final stages of post production. The Rio Theatre in Cneter, TX will be hosting the premiere film in May. We are looking forward to seeing the film touch many lives!